To make moving day and packing easier use moving as a good excuse to de-clutter any unwanted items you don’t need. Charity shops are always looking for donations, or even hold a boot sale. Remove pictures and mirrors from the wall and protect in bubble wrap. Unless we are packing these items for you in which case you need do nothing and leave it to our staff. 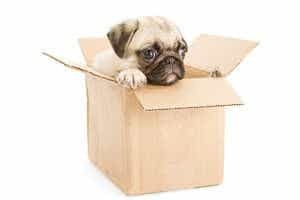 If you have personal items you wish not to be carried in the van, ensure you tell the movers before they start or they may inadvertently get packed away. Tell your neighbours you are moving in order that the moving van will have some parking space. Always box small items (shoes, toys, small lamps, toasters, coffee makers, etc.) and bag pillows, duvets, etc. Packing a removal van is a lot easier if items are boxed and bagged. If you don’t have the original box to protect your television, use bubble wrap and secure a flat pack box over the front and rear which acts as a makeshift box and protects the screen. Remember to keep track of any screws and bolts when dismantling beds, cots, etc. otherwise reassembly may not be possible. When packing liquid foodstuffs (olive oil, etc.) into a box, firstly wrap in a plastic bag to prevent any damage caused by leakage/breakage. Buy a cooler bag for fridge/freezer contents to keep fresh whilst in transit. Paints and flammables are not permitted to be carried in the removal van so please exclude these from carriage. Drain petrol lawnmowers and place a bin liner over the cutting end. Ensure someone is handy on move day to direct furniture into the correct room. 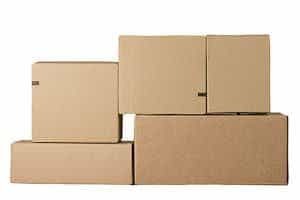 Colour code or number boxes and door frames to ensure the relevant boxes go into the correct room or you may have to double move them when the removal team have finished.